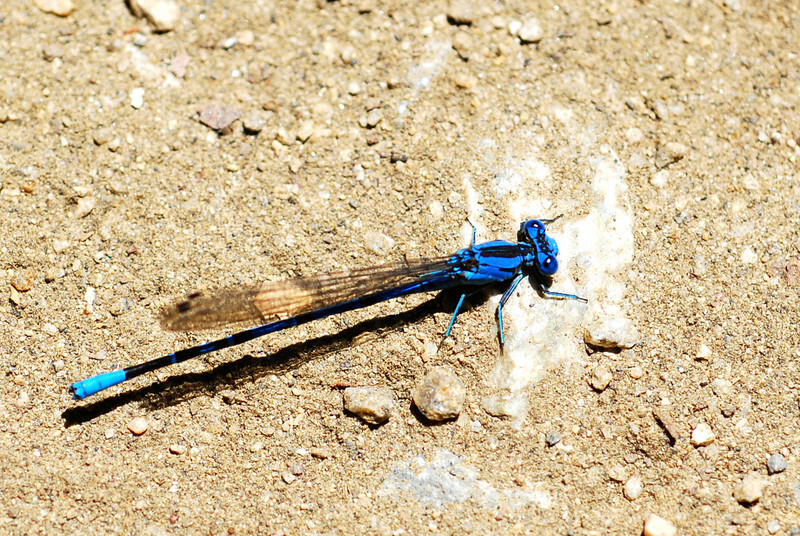 A blue damselfly (dragonflies have fat bodies and wings that lie perpendicular) in the middle of the path at the UCLA botanical gardens. I was surprised that I was able to get so close to it before it flew away, they're usually pretty skittish. I love the color, but I wish it was in better focus. whoa...now that's a different dragonfly to any I've ever seen! love that color! !